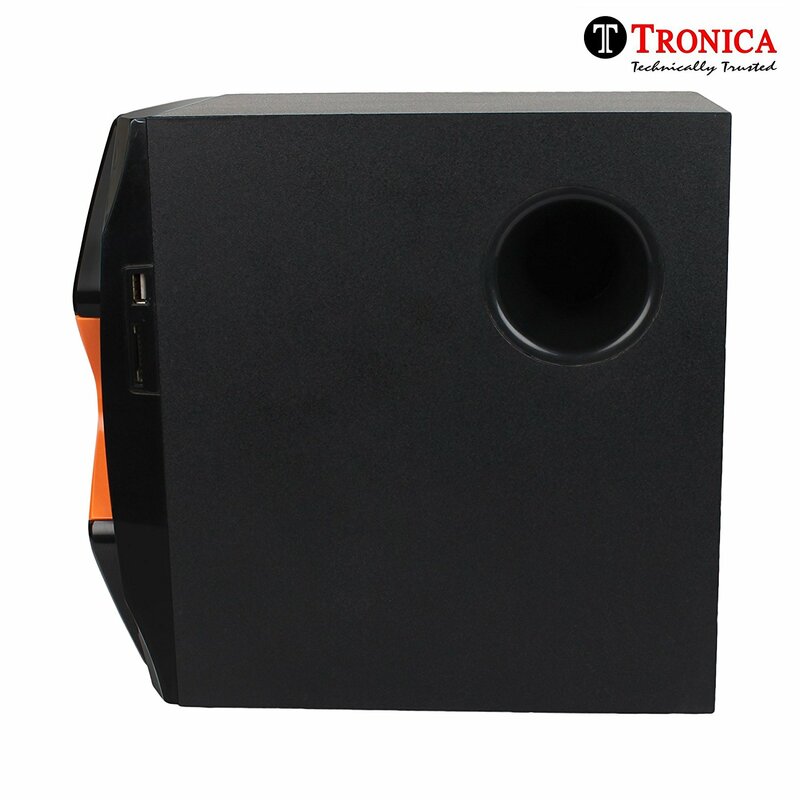 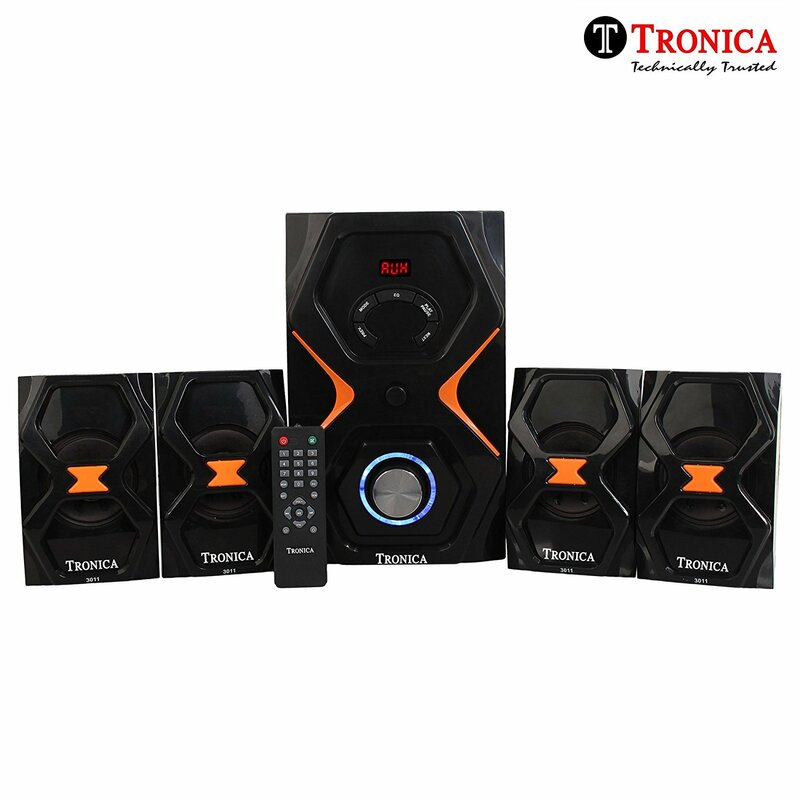 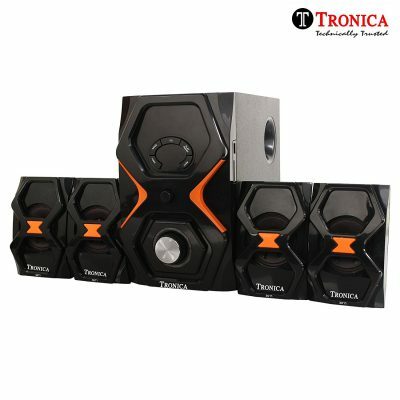 Bring the power of the cinema to your living room and enjoy all your favourite movies with surround sound, thanks to this sleek, stylish and compact home theatre comprising of 1 main woofer and 4 power speakers from your trusted brand -TRONICA! 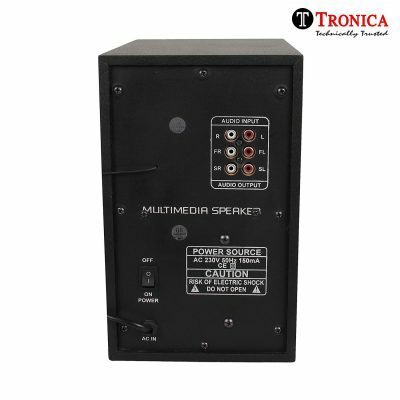 Connect the bluetooth from your phone and listen to non stop music from you tube or watch any movie on your TV with cinema effects. Made from wood and ABS plastic, these multimedia speakers have built-in FM radio and USB MP3 playability. 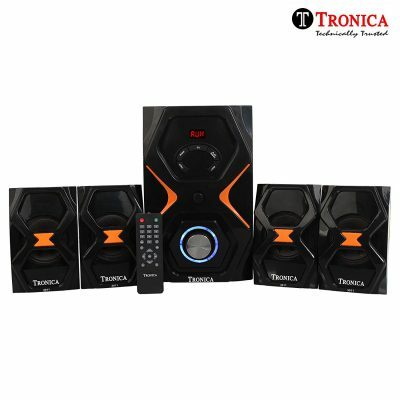 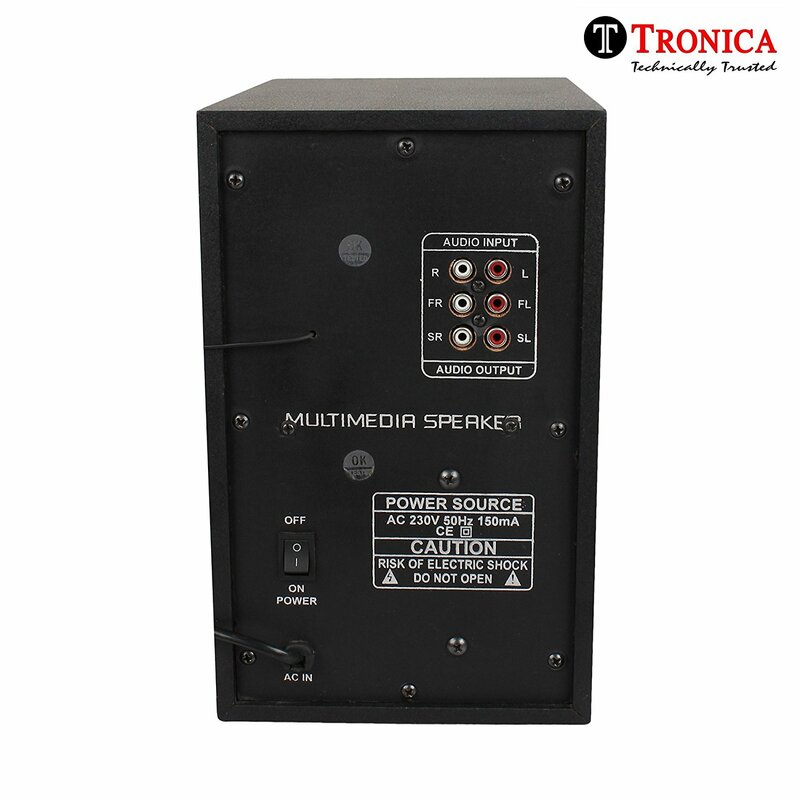 For an immersive sound experience, this home theater comes with 4 sub woofers, rotary type volume control & bass control, built-in amplifier and full function IR remote.